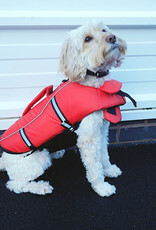 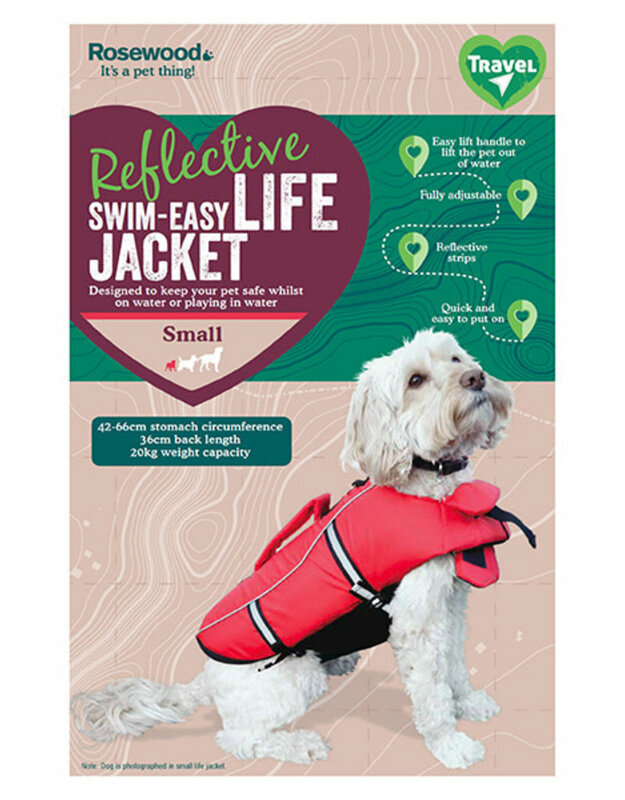 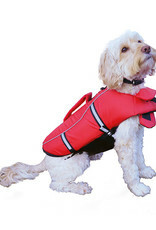 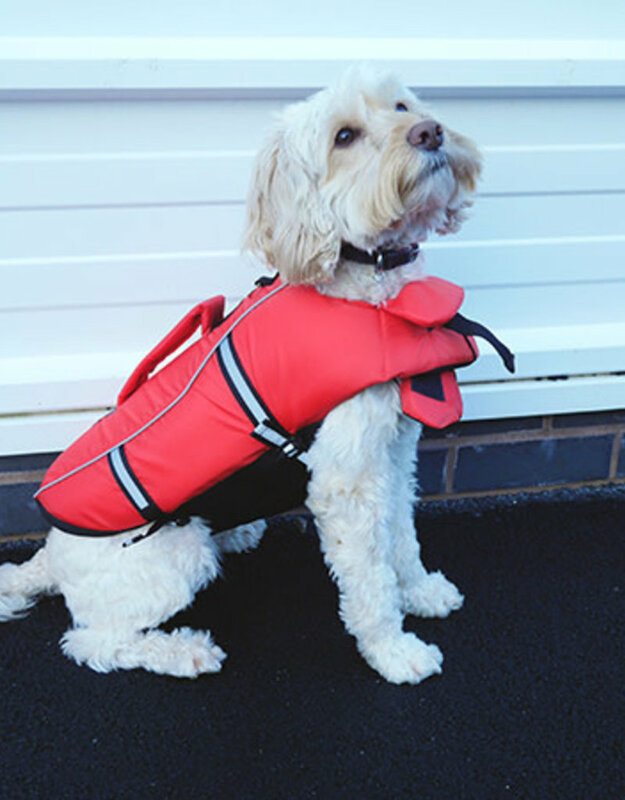 Designed to keep the pet safe whilst on water or playing in the water. 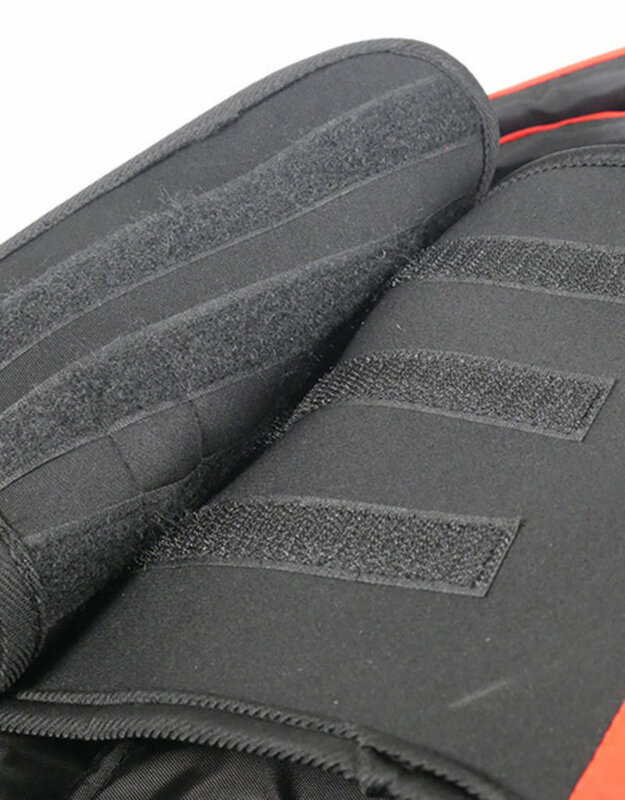 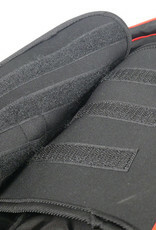 Comfortable, quick and easy to put on. 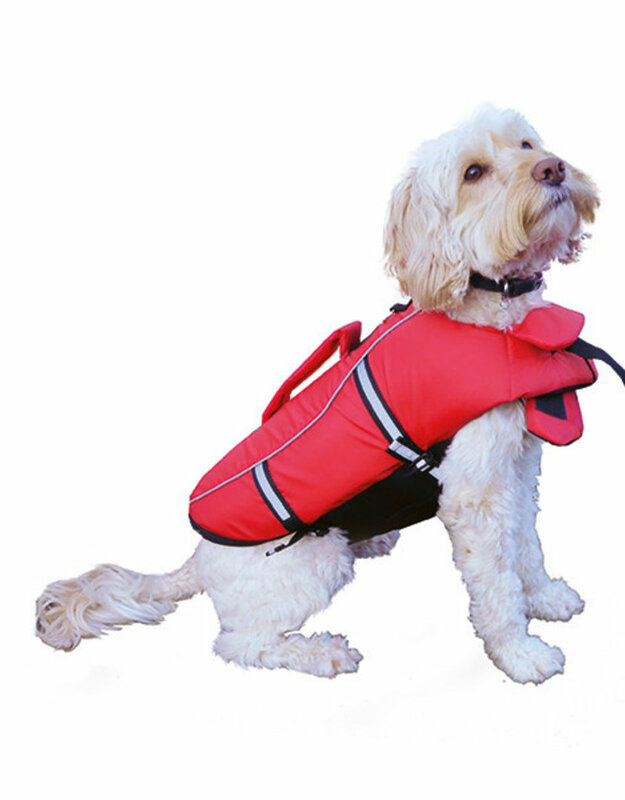 Fully adjustable and has a handle for easy lifting out of the water. 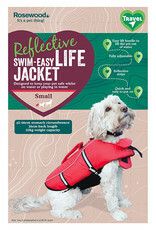 Reflective strips for high visibility in the low light.